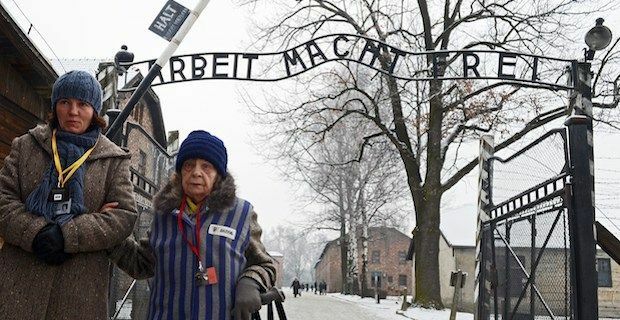 Today, Monday 27, January 2014, concentration camp survivors, politicians and members of the public alike are gathering in remembrance of all those who lost their lives in the Holocaust or in other genocides. Established in 2001 by the United Nations, the Holocaust Memorial Day coincides with the date in which Auschwitz-Birkenau concentration camp was liberated back in 1945 by the Red Army. The Soviets managed to access the camp after high-ranking SS Reichsführer Heinrich Himmler evacuated the site forcing almost 60,000 prisoners in an excruciating death march towards Kraków and Bergen-Belsen. The aim of this day of remembrance, also known as 'International Holocaust Remembrance Day', is not only to commemorate the victims of Nazi violence during the Shoah, but also to raise awareness on genocides carried out in other parts of the world - such as Bosnia Herzegovina, Cambodia, Darfur, Ethiopia, Rwanda, Somalia and Sri Lanka - shattering the life of many innocent people. - King’s Cross railway station, 8am-12 noon: Ben Helfgott MBE, Holocaust survivor and honorary president of the Holocaust Memorial Day Trust, leads a moment of reflection followed by performances in the station throughout the morning. - Croydon Town Hall, 12 noon: Candle lighting ceremony and Holocaust Memorial Day exhibition in the library. - Queen Elizabeth II Conference Centre, Westminster, 2.30pm-5pm: Commemorative Holocaust Memorial Day event. - A-Side B-Side Gallery, Hackney: Art exhibition in recognition of Holocaust Memorial Day. - Belsize Square Synagogue, Belsize Park, 2pm: Rabbi Stuart Altshuler will lead the service of commemoration which will feature a speech by Allan Noel-Baker followed by a debate on Kindertransport. - Rainbow Hamlets, Tower Hamlets, 6.30pm: Special ceremony and testimonies highlighting the journeys of the prosecuted from pre-war Berlin, to 1990s Bosnia, to modern day Uganda.